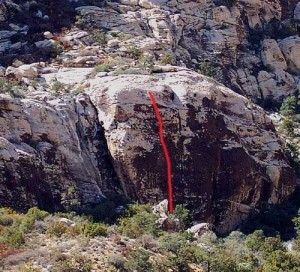 The first section is easily toproped from Ragged Edges, but be careful since the crux is in a bad spot for a pendulum. A great lead because the crux is at the top. Few try the runout 5.11 top. Which SuperTopo guidebooks include a topo for Plan F?